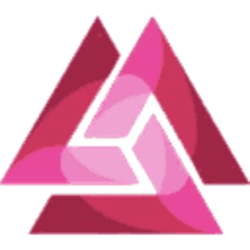 Trinity is a universal off-chain scaling solution, which aims to achieve real-time payments with low transaction fees, scalability and privacy protection for mainchain assets. 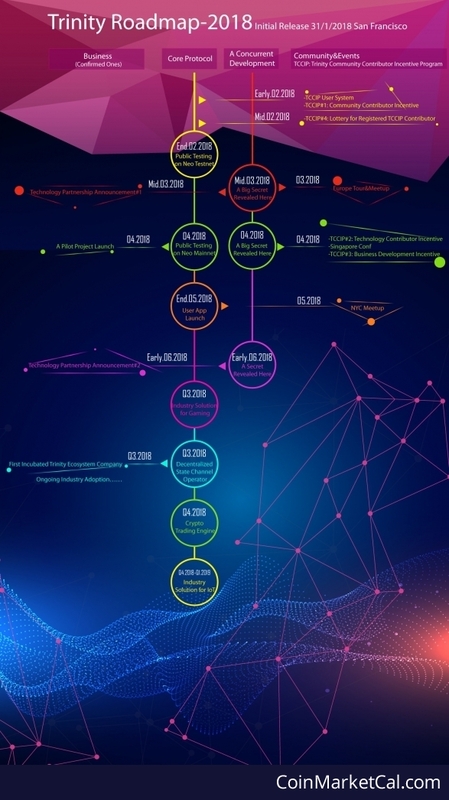 Using state channel technology, Trinity will significantly increase the transaction throughput of underlying chains as well as the assets on smart contracts. 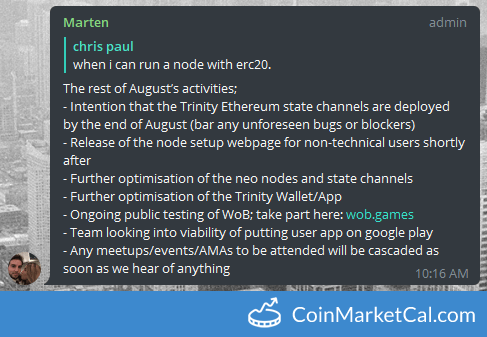 Trinity Ethereum state channels intended to be deployed by the end of August. 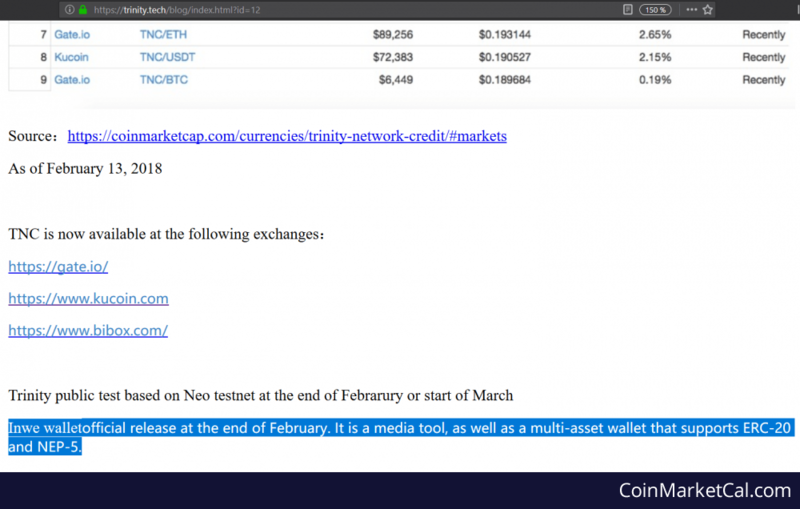 Node tokenomics for NEO-TNC revealed by Trinity Founder David Li. Public Testing on Neo Mainnet. Trinity offer a lock-up and reward program. Lock-up 9 months for between 5-10% bonus. Contribution 10,000-500,000. 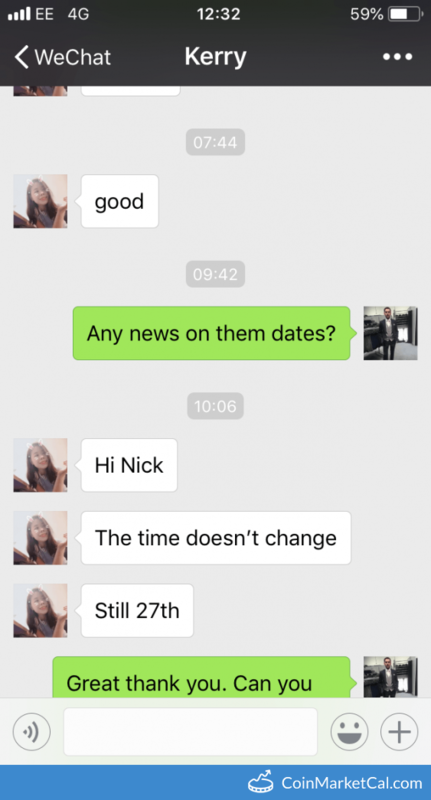 Public testing on Neo testnet ends. Inwe wallet official release at the end of February. 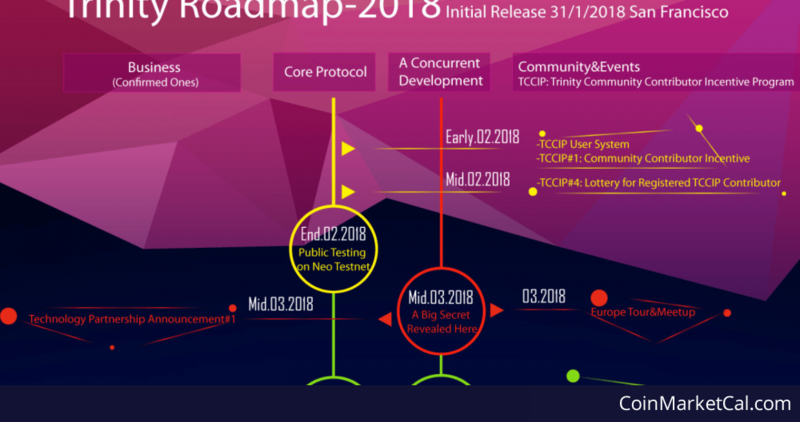 It is a media tool, as well as a multi-asset wallet that supports ERC-20 and NEP-5.